British pop-rock vocalist, songwriter and musician. Born in Batley, Yorkshire, England on 19 January, 1949. Died in Paris, France, from a heart attack on 26 September, 2003 at the age of 54. Palmer moved to Lugano, Switzerland, in 1986 where he lived until his death. He became a naturalized Swiss citizen in 1993. As of late I was fortunate to pick up the original Island cds from this British singer back catalog of the 1970s. Forget his 1980s mechanical new wave pop Clues & Pressure drop really showcase this mans talent. His early releases are very "American" in sound in the sense he focuses on blues, rock and reggae in many of his songs and pulls it off really well. Palmer had a knack for manifesting alot of feel when singing in these styles. As a musician he had a unique voice and was open to experimentation just like David Bowie but without the theatrical edge. 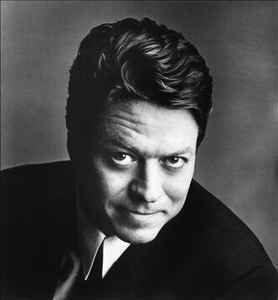 Are any of you members of the robert palmer group on facebook? Its a great group and is growing all the time! On a Robert Palmer kick lately, great diversity of styles but he still knew how to rock. Agree and third this..Palmer was one of the finest white blues singers ever with a feel that simply cannot be learned-you either have it or you don't.Palmer had it in spades.A legendary vocalist.